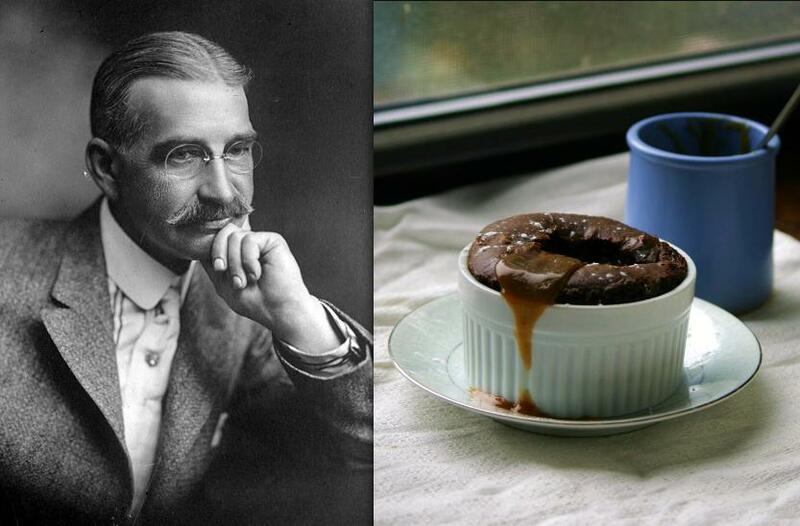 When looking for one of Maud Baum’s recipes, I contacted Sally Roesch Wagner, director of the Matilda Joslyn Gage Foundation—named for Maud’s mother, a noted crusader for women’s rights. Wagner had spent weeks with Gage going through decades of the Baums’ history, but wound up stumbling upon their culinary legacy as well: Gage’s family recipe book, with dishes going all the way back to Frank’s mother, Cynthia Stanton Baum. Cynthia’s recipe for ginger cakes, barely altered here, has never been previously published. With the gooey texture of sticky toffee pudding but more than a hint of gingerbread, the cakes are a treat you can imagine a young Frank drizzling with copious amounts of butterscotch sauce, measured out by the spoonful—a child playing at being an adult, cultivating his own personal taste. 1. In a medium bowl, sift together flour, cinnamon, ginger and baking soda. 2. In a large bowl with a wooden spoon, mix sour cream, brown sugar, molasses, egg and melted butter until smooth. Add dry ingredients, stirring until well combined. 3. 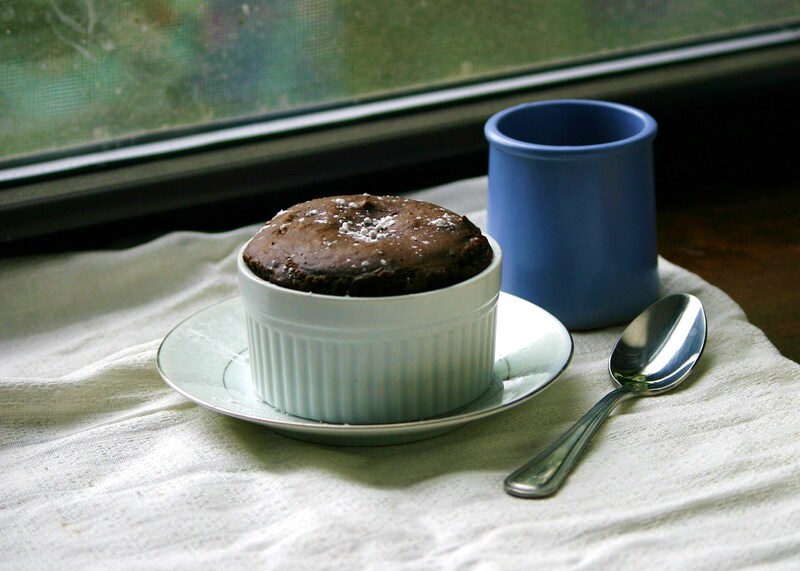 Grease eight 4-ounce ramekins—or line a muffin tin with paper wrappers—and fill cups 2/3 of the way. Bake at 350°F for 20 to 30 minutes, until tester inserted in the middle comes out clean. 4. Cool 5 minutes, then drizzle with butterscotch sauce and serve. 1. Melt butter in a medium saucepan over medium heat. Add sugar and cream and whisk until well blended. Bring to a gentle boil and cook 5 minutes, whisking occasionally. 2. Remove from heat and add salt to taste. Serve warm. Keeps 2 weeks in the fridge. Excellent post! My Mom used to read to us from the original Oz books, but I never knew that much about their author. Gingerbread looks wonderful. Such a delicious idea to bake the gingerbread in ramekins. The butterscotch sauce reminds me of my mom…That’s what she always served with gingerbread. I never had the two together before, until I saw this recipe. Now I don’t want to eat it any other way! As usual, a wonderful and very tasty post. I am going to try making this cake, which seems so perfect for fall. Thank you for putting together such a great blog — I really enjoy reading it! Thanks, Jill – let me know what you think! Anything gingery puts me in a fall mood. Oh my! This sounds delicious. It’s the perfect time of year for gingerbread and butterscotch. I’ll have to try this as soon as I go to the store and get more flour. Let me know how it turns out – enjoy! Holy crap, that sounds delicious. Another one in the win column. My mother owned the entire Oz series, and growing up, I read her copies over and over.. I don’t think I’ve ever seen a photo of L. Frank Baum before. I am baking this right now because I can’t resist butterscotch. My boyfriend walked by when I was editing this post and asked who the guy with the “sweet mustache” was. He was shocked to find out who! Hope you enjoyed the recipe. Have you written any books already? I wouldn’t be surprised. Your comfort with words shines through. curious – the tablespoon of melted butter – used for the ramekins? 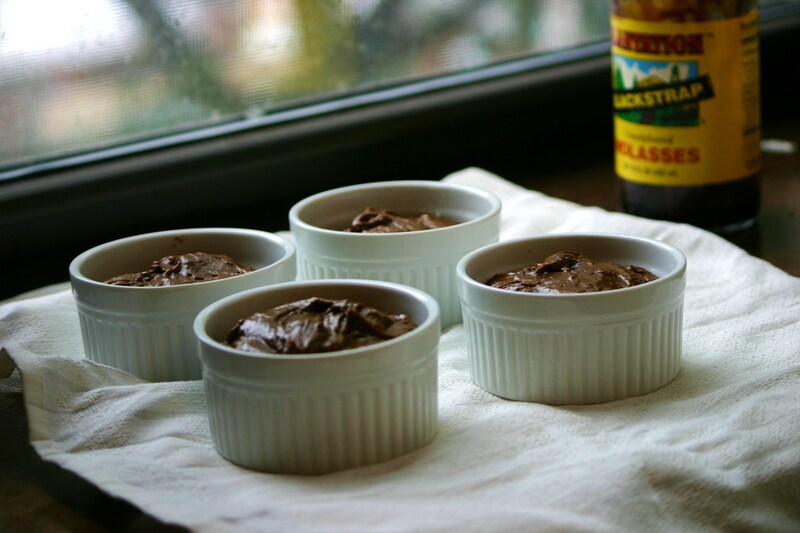 Ah, thanks for that catch – the butter should go in the wet ingredients, with extra for greasing the ramekins. I’ve edited it above! That was a great story! Oh, and I agree-greatest moment ever was not necessarily the freedom of that first year away from home, but the food freedom of that first year away from home! The jelly doughnut story gets better – according to the family legend, he buried them in the yard, then Maud dug them up and served them again! Just one nitpick: The Matilda Joslyn Gage foundation is named after Maud’s mother, not her neice. A formidable woman in her own right. Not a nitpick at all – thanks for pointing it out. It’s corrected now. Too many Matildas in one family! I read some conflicting accounts about how long Maud continued to serve the doughnuts, but the yard part is impressive. That is one determined woman.